It was late in the evening when we arrived and the sky fairies must have been pissed. The rain had everything and everyone wet. It didn’t matter though – we had traveled for 15 hours and all we wanted was to stretch our bodies and catch up on inner moisturizer (understand beer). We rushed out of the minivan, grabbed our backpacks and ran to the open space restaurant. The scene before us was undoubtedly gorgeous despite the bad weather: large green meadow, little wooden houses, camp fire under the restaurant’s roof. With some imagination I could even see the mountain peaks in the distance. The taste of adventure in my mouth was getting more intense by the second. Realizing that size matters: can good maneuvering compensate for small size? Before we head to dinner we needed to drop our luggage off so the team of 14 quickly split into smaller groups and got the keys. I rushed to our bungalow, unlocked the door and froze with my mouth wide open. Poor research caught up with us real fast. After figuring out that there’s nothing besides 4 beds inside the bungalow it was crystal clear to me that there’s no en suite shower either. It didn’t take long to discover the bathroom facilities. They were located 50 meters away from the bungalows and some 20 years back in the day. Only upgraded. Joke aside – showers were outdoors. Well-equipped with plenty of cabins, women’s and men’s toilets, several sinks, and a steady roof above, the only thing that the bathroom area missed was walls. Nonetheless, that was a repetitive concept throughout the camping, so we really shouldn’t have been surprised. Thankfully, the hygiene was top-notch and after swallowing the idea of walking half-naked in the less-than-charming weather we started appreciating the beauty of the basic conditions. Right after the quick mental adjustment to the camping environment (after all this was our first time camping) we felt nothing could stand between us and food. That was apparently our hosts’ concept too. As we sat in groups of 8 on the large restaurant tables dishes started arriving. And it seemed as if they’ll never stop. Meal after meal, each more delicious than the previous one. Everything – home-made. No preservatives. So yummilicious!!! And while my taste buds were dancing, my entire body was shaking. Boy, was it cold! Surely, the beer wasn’t helping much but to be quite frank – I don’t think anything could. If you dislike cold weather, then I strongly recommend you avoid visiting the rafting center before mid-June. On the other hand this is the best time for rafting, so I say: prioritize. It won’t be easy but you’ll certainly have to sacrifise something. While Bosnia welcomed us all grumpy it did smile at us on the next morning. And we smiled at the awesome breakfast and the delicious coffee they prepare. If was rafting day – the buzz of the excitement was quickly spreading around. It was also time to be childish. We took our shoes off and ran barefoot on the moisty lawn, happy and free as kids. We then rushed down to greet the river which charmed with its incredible turquise nuances. Before we knew it, it was time to head off to the (well-hidden) mountain border between Bosnia & Montenegro and begin our rafting adventure which was absolutely epic. Bosnia was nice to us for just a day. As we woke up the morning after rafting day heavy clouds were gathered above us, nastily boiling from within. We knew it was going to be a cold, rainy day yet neither one of us bothered to use a single brain cell when asked if we were going to join the mountain safari with jeeps. “Aha” – we all nodded with retarded smiles on our faces, trusting that the guides wouldn’t have bothered inviting us if it wasn’t a good idea. Well, have I told you that assumption is one of the biggest mistakes in life? Even though I knew that, it didn’t stop me from entrusting my health in the hands of assumption. As you can probably guess from my tone this safari was an epic failire. It didn’t begin like one, though. After about 40 minutes in the jeeps (mostly on regular asphalt) we reached a point somewhere in the mountain. According to our guide’s words, we were going to take a look at some 60 meters high waterfall, which was supposedly one of the most beautiful scenes in this area of Bosnia & Herzegovina. Unfortunately, nature disagreed with his statement and the fog hid the waterfall behind a thick, white curtain. Lesson learned: when it’s raining in the mountains stay in the bloody car! Since we didn’t know (and still don’t) what we were missing we were ready to take off to stop #2. After another 20 minutes in the jeeps we reached a point higher in the mountains. The snow at the beginning of the path didn’t seem much and the promise of just a short, 3 km walk didn’t scare us. We took off. And so did the rain. Only 20 minutes later we were all soacking wet. The higher we went, the more snow there was on the trail and we shortly realized this isn’t going to end well. “Don’t worry” – someone said – “We’ll only walk for 3 km and they’ll pick us up at the other end”. Despite my doubts we continued. After all, you don’t want to go back to the starting point since the cars aren’t going to be there, right? I had long lost our guide from sight when we reached the end of the path. Somewhere in the distance, partially covered by the fog I could see stunning rugged mountains. I bet they look amazing in better weather. At this very moment though the entire group’s mood was somewhere between desperation and anger. This quickly escalated to pure rage when they found out that the “they’ll pick us up” part of the plan isn’t quite true. We were all expected to go back the very same way we came. As we were – soacking wet, freezing, and by that time quite tired. After an experience as the one described above you’d think people will go back, shower quickly and jump in beds, right? Well, perhaps somewhere else. This isn’t how we, Balkan kids, handle these situations. Instead of allowing the experience to break our spirits we started drinking spirits! Twenty minutes after returning to Rafting Center Drina-Tara the view at the restaurant was quite charming: seated around the large tables people were using blankets (2-3 people under one) to warm up while drinking excessive amounts of wine. Shoes were gathered around the camp fire and so were those who froze the most during the day. Ellie and I were floating from table to table, talking with just about everyone who was in the camp (even people we didn’t yet know). Turned out the fact that there was no reason to stay in the bungalows helped us make some cool new friends. Thanks, Rafting Center Drina-Tara! On the day we were leaving I was thorn apart: I did want to get back home to my warm house, yet I certainly didn’t feel like leaving Bosnia & Herzegovina. Although many of our group were completely and totally outraged by the simplicity of the camping, Ellie and I totally loved it. Is the place luxurious? Certainly not. Is it a place we recommend? Hell, yeah! We’re actually looking forward to going back as soon as possible and if you’re up for an adventure, do not hesitate to visit Rafting Center Drina-Tara! What you need to know when going to visit Rafting Center Drina-Tara? Whatever the season please have in mind the rafting center is located in a mountain area. You’ll need to prep well with warm clothing for the evenings (which do get cold even in August, according to the locals). If you get a package deal (which is a bargain by all means) there will be plenty of food. Nonetheless, have in mind that most meals are not meant for vegetarians or vegans. If you’re on a special diet do communicate this in advance and make sure you’re heard. Beers in the restaurant cost about 2 euros. Coffee is 1 euro and I think so is the tea. Nonetheless, you’re allowed to bring your own alcohol if you wish. Rafting center Drina-Tara is located 15km away from Foca – a small Bosnian town. This distance makes it way to far for a walk to if you want to get to a shop. I don’t think calling a taxi is possible – there’s about 10km of a dirty road between the town and the camping. With that said, I recommend you buy everything you need in advance (unless you’re visiting with your own car). Euro is accepted in the rafting center and in about 98% of the shops in Foca. Don’t forget, however, that 1 Euro = 2 KM (Bosnian Mark). From what we’ve heard Foca’s shop owners will sometimes try to tell you its 1=1, but if you know your cash, you’ll be fine. 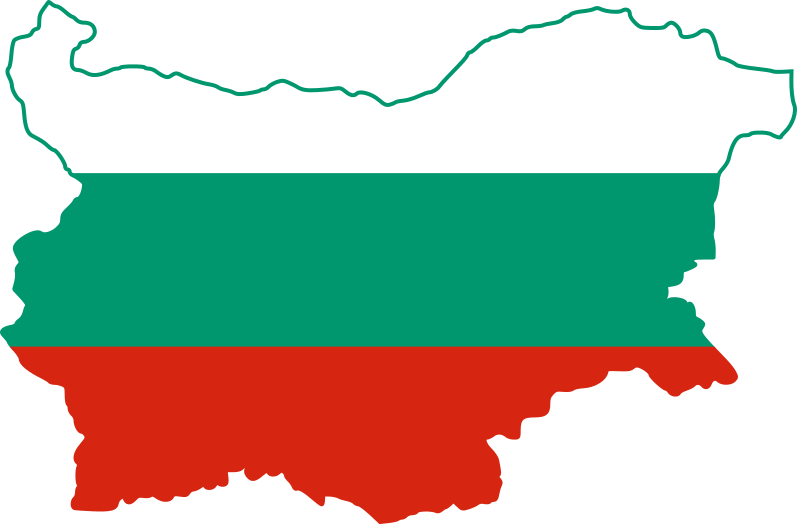 next post: Prep for a jolly linden winter in Bulgaria. Now!